I saw this old wheel during a summer mission trip to Guatemala. 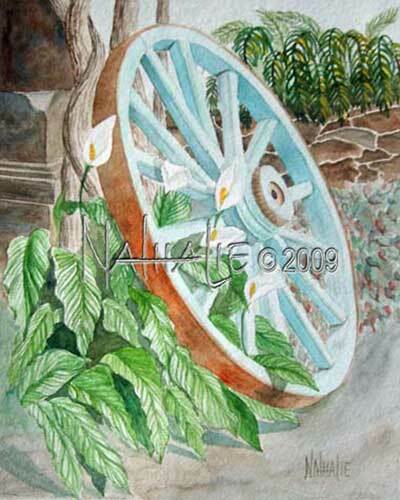 It was painted turquoise and had calla lilies growing beside it. I couldn't wait to get back to the studio and paint it.